Not many actors would be thought of for a part in a serious drama about a historical event and the Drunk History episode about that same subject. But before he was tapped to portray Mossad agent Rafi Eitan in Operation Finale, Chris Weitz's new movie about the capture of Nazi Adolf Eichmann, Nick Kroll had to turn down an offer to take on a similar role in Rachel Bloom's wasted retelling of that story. The timing didn't work out with his schedule. When I arrive to chat with the actor one recent Friday afternoon at a New York City hotel, he is gazing out the window at Central Park. Down below is the Upper West Side, the playground of Gil Faizon, the Steely Dan-listening, tuna-pranking old lunatic whose persona he embodies like a second skin in Oh, Hello alongside John Mulaney. Perhaps he is pondering the incongruous trio of 2018 releases that began with his doofus-villain role in Uncle Drew, continues with Operation Finale, and carries into the fall with the second season of Big Mouth, his proudly gross Netflix animated series about puberty that returns October 5. 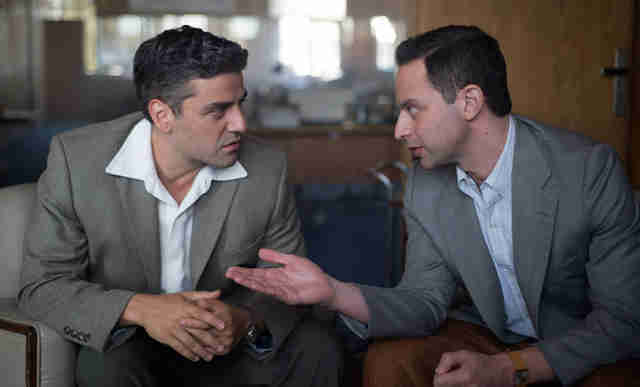 For someone so associated with comedy, Kroll might not be the first actor you'd expect to see opposite star Oscar Isaac playing an Israeli operative in pursuit of Eichmann (Ben Kingsley), who led the organization of Hitler's "final solution" during the Holocaust. But Kroll has slowly been adding more serious work to his resume, including a turn in the 2016 movie Loving. On paper, bookending Operation Finale between goofy comedies is hilarious. Talking to him, it makes perfect sense. Thrillist: There's a moment in the second season of Big Mouth where your character meets an older version of himself, who has a career similar to yours. He says he'd like to do "more dramatic roles" and calls it a "pure ego thing." How realistic is that for you? 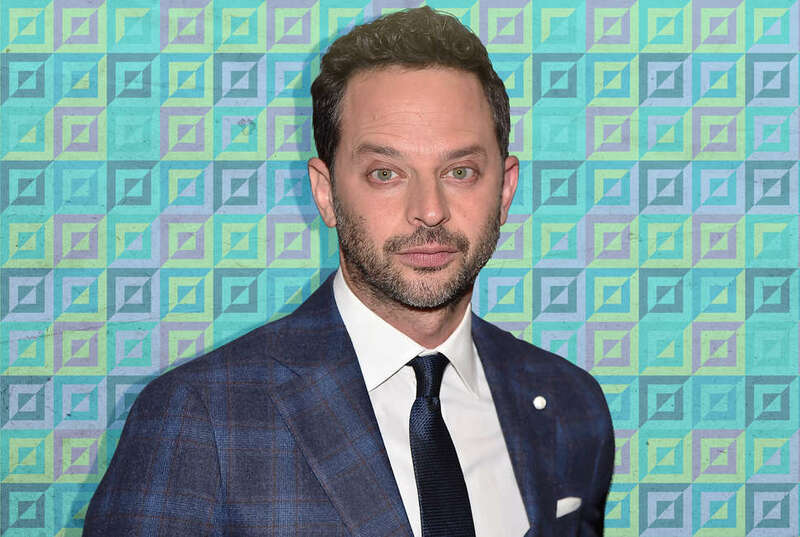 Nick Kroll: As I look dramatically out the window, I think the idea of having Nick Starr, this version of me as an adult -- that's the joy of animation, you can pop in and sort have this meta commentary of making fun of all the versions of myself. You go into the future of Nick Starr and it's the worst version of who I am, like a lonely entertainer who wants to do more dramatic stuff as an ego play. Which is, you know, not true. But it is true that it's like I think most comedians would like to be able to do dramatic stuff, one, because they want to do those stories, but also just to be like look I can do this, I can do this. Which is ultimately I would say is not what draws me to do this kind of stuff. The real truth is that I just love doing a variety of things. That last year would begin with Big Mouth and end with a movie about the capture of Adolf Eichmann with Sir Ben Kingsley and Oscar Isaac is like what more can you ask for creatively? You mentioned stories that you want to tell. Why this one? Kroll: It's a story that I knew about from growing up. I think basically every Jewish kid learns about this story because it's an interesting one and it's captivating because it's about the Holocaust but it's not. And it's about Jews being badasses. It scratches a lot of different itches. Also, my father knew a couple of the men involved in the capture. So I always had this weird tangential connection were I would sort of be like, "My dad knew the guys who did it." Around what age was that? Kroll: In elementary school I remember trying to be like, "I know one of the guys." What was funny is that right before this movie came in, I got an email about the Drunk History sketch with Rachel Bloom. I got an offer to be one of the guys in that, which I couldn't do with my schedule. Then a few weeks later this came in for this movie and I was like, I already said I can't do this for scheduling reasons. Then I was like, oh no, this is not a Drunk History sketch. This is the feature film. Kroll: I love them both coming in. I really am kind of a real history guy. I was a history major in college so all that stuff is kind of interesting to me. But it was very weird. It was very strange to have almost one right after the other. You were raised in a fairly Conservative Jewish household? Kroll: Yeah, it's so funny because conservative is such a weird word. For us growing up, Conservative was like the middle Judaism. Now I hear conservative and I'm like, well, we're quite liberal. But, yes, I went to a Jewish day school and my house was kosher growing up. So I definitely grew up with Jewish stuff. Rafi is still alive. Was there any hope to get in touch with him? Kroll: I did not speak to him, and I didn't get the chance to meet him. I got to talk to a lot of people who knew him. There was an exhibit about the Museum of Jewish Heritage about Operation Finale. I got to walk around and they had all the stuff like the plane tickets and the forging machines and all the posters for when the Eichmann trial happened. They were filming it and then bringing it to movie theaters around Israel for people to watch. I got a little more taste for it. The truth of it is when you're playing a person from real life you want to know as much as you can about them, but then at the end of the day you're then serving what this script and story is that might not be exactly who Rafi was in real life because now you're playing this guy in this movie that might be a combination of events and people. You can do a number of different voices. Was there any talk about doing an accent? Kroll: It was an early decision Chris made that I actually really like which was nobody's doing Israeli accents because when you watch a lot of those movies you are so focused on who is doing the accent well, who is doing it badly. And also in 1960 in Israel, there was no Israeli accent, because everyone is from different places. So in the film Torben [Liebrecht] is German, Mélanie [Laurent] is French, Ohad [Knoller] and Lior [Raz] are Israeli, and me and Oscar [Isaac] and Mike [Aronov] are American and Greg [Hill] is American. Also, Chris was like, if they were Israelis living in the U.S. speaking English then maybe they would have Israeli accents. But they are supposed to be theoretically speaking Hebrew to one another, so why would they be speaking English with Israeli accents? It doesn't make any sense. I think it freed all of us to not worry about like, is the accent good? Does it sound legitimate? I think you spend so much time when you watch those movies hearing about whether people are doing the voices that you forget about how the acting is. Were you working on Big Mouth season two while you were filming this? Kroll: Animation is such a long process and so many steps so we had done a lot of the lion's share of work on Big Mouth before I went down to Argentina. So I worked on Big Mouth, went to Atlanta, did Uncle Drew, and then went down to Argentina. On my days off, because there are so many stages to animatics and color screens. They would have animatic or color episode screenings in LA, they would do a rewrite, and then I would Skype with my co-creators and we would rewrite and I would re-record voices on my phone and then email them off to LA. They would get put into the rough drafts and then when I got back I would re-record them properly. I will say, the technology blew me away when I realized I would be FaceTiming in Argentina across the world recording things onto my little phone and then emailing them right off. They would insert them in. There are a couple of lines that went all the way through where at some point they were like, we should record that properly in a studio. It had been like on my couch in a hotel room in Argentina. What was it like filming there? Kroll: It was really wild. I weirdly spent a lot of time there. I studied abroad there in college. So I kind of knew [Buenos Aires] and the country. I got a little time to travel. I went to Patagonia and Iguazu and afterwards went to Brazil and got to ride polo horses at Nacho Figueras' ranch outside of the city. He very kindly invited me out there. It's rad. When I got the offer to be in this movie: You're going to make a movie with Sir Ben Kingsley and Oscar Isaac directed by Chris Weitz in Argentina about this event. It was kind of like, what more could you ask for? It is one of those opportunities. Sorry, you rode polo horses? Kroll: I rode polo horses, and then I had a crazy allergic reaction to the horses. In case, I, for a minute, forgot I was Jewish my genetics kicked in and I broke out in hives. With Big Mouth season two, how did you balance the disgusting stuff with the occasional educational, empowering moments of the show? Kroll: First and foremost, it has to be funny. If it ceases to be funny then we're not doing our job. But I think we are also aware of the responsibility that we have, doing a show about puberty, specifically at such an informative, important age and so delicate of a time that I think we feel the responsibility to make sure what we're saying is not only funny but also providing hopefully the right messaging for the healthiest kids we can help. I'm not trying to say what we're doing is so important and that we're the future of sexual education, but I think we have the opportunity, if we do our job right, to entertain people and also and also give them a forum to talk about what is happening to their bodies or what happened to them and explore that. Do you want to keep these kids 13? Kroll: It's a show about puberty. The [theme] song is "I'm going through changes," so to keep them static would seem like a bit of disservice, but there are so many stories to tell that I think we're slowly going to age them. We want to make sure we tell all the great stories we can at a specific age but also puberty's about change and I think it would be a disservice to not have them slowly change. So does Sir Ben Kingsley know about Big Mouth now? Kroll: Um, not yet. We'll see if we can get him for next season. I mean we got David Thewlis to do the Shame Wizard. But yeah we'll see. He does not know about it yet. I don't think.